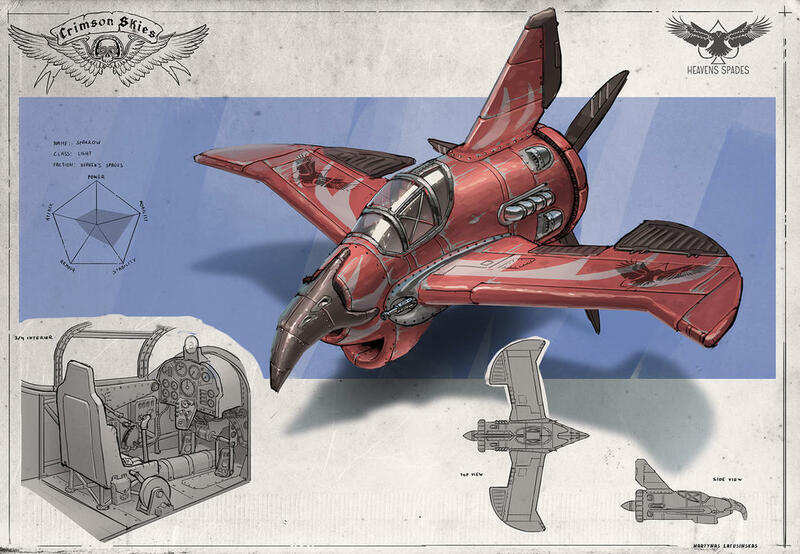 Hey all, a friend made these aircraft designs and I’m interested in your thoughts. 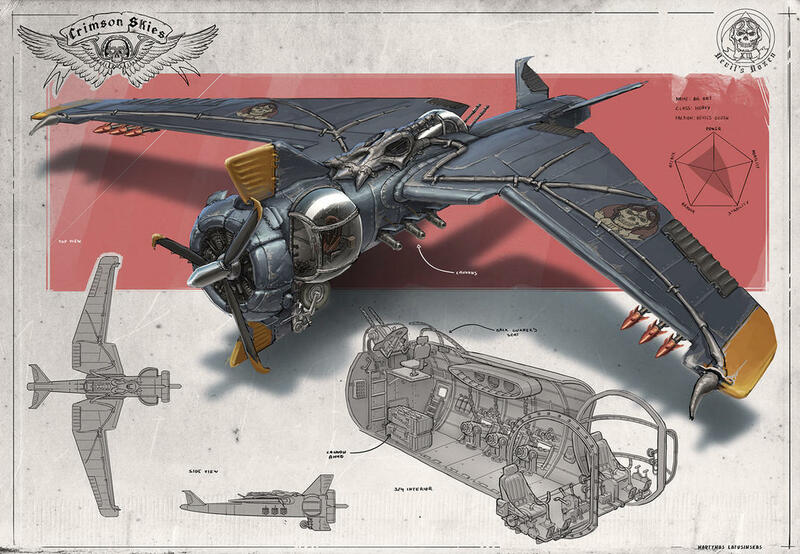 Is there any chance one might consider these Dieselpunk style? And if not, how would you best categorize them? Personally I think some elements such as the bones don’t match but I may be wrong. Beautiful work! I love that the artist also included the different views and break outs. 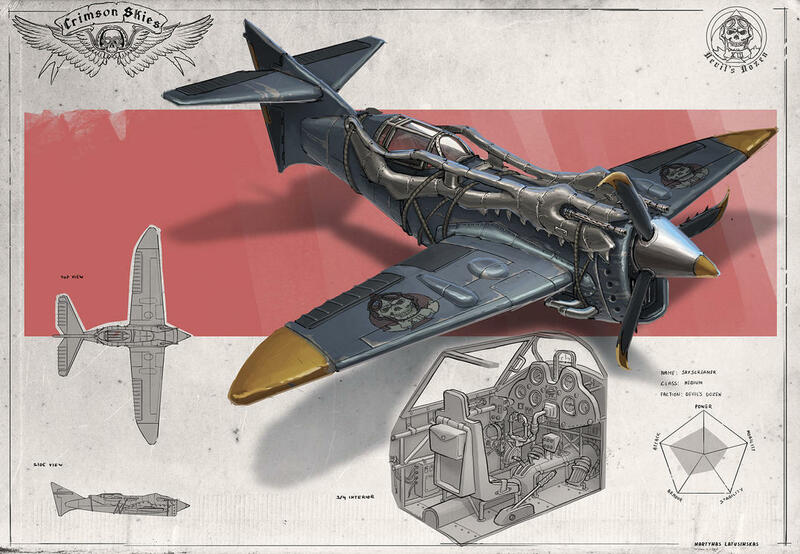 I would say yes, these designs would not be out of place in a dieselpunk world. Thanks for the response. Yea I like how he has the interiors as well. 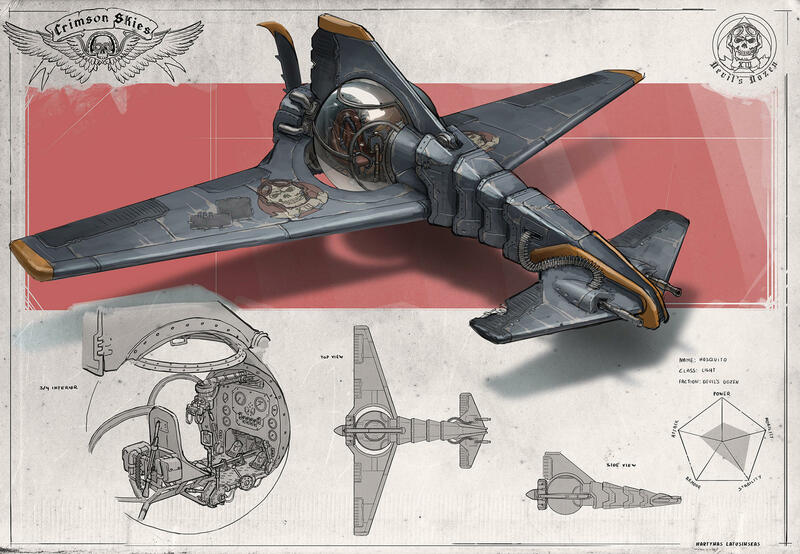 I just thought they were looking more organic sci-fi and missing some retro-futuristic elements, but still love those designs. 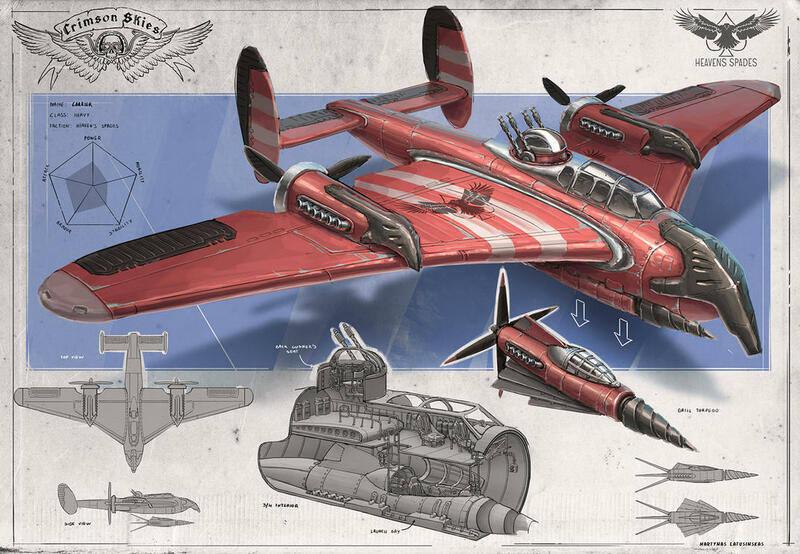 Crimson skies is the definition of Dieselpunk. 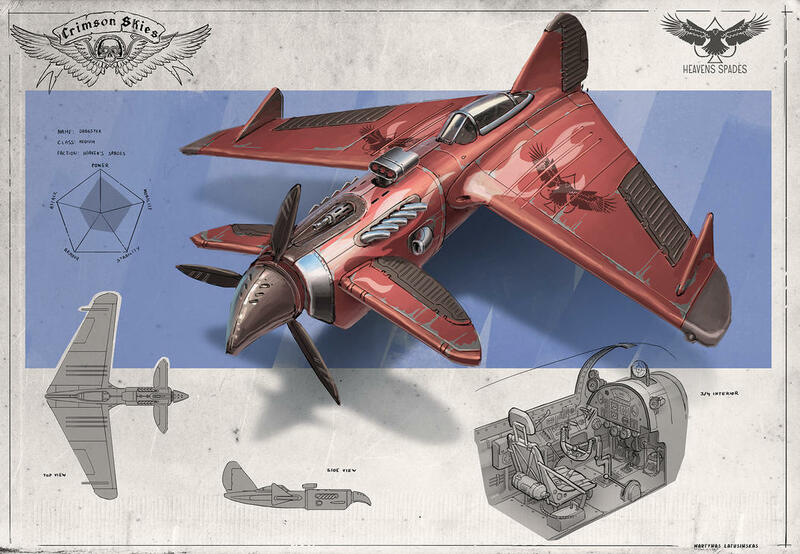 high flying adventure, sci-fi tech with a very 1940s feel, and awesome action. That being said, I'm definitely going to be following that artist. I'm too busy in school to do much writing or art, but I really, really, REALLY want to create stuff like this one day. The only aircraft drawing I did was based on a WW2 jet fighter design, I basically turned it into a propeller driven aircraft. Not too original, but you gotta start somewhere. Salim, I've had very minor successes and major failures with my work. I celebrate what I can yet consider Everything to be a learning experience. Let your heart and dedication drive you. It is extremely difficult to pay rent, get through school, and sleep half-way decently while also trying to create something you love. It takes time but you have to just keep at it, no matter what. All the studies I'm doing just make me wish I had thrown all that energy towards creating the stuff I wanted when I had the time. Very creative designs. Thank you for sharing!